Doing the laundry is not always among the most favorite household chores. The laundry room is often a hodgepodge of items that are not necessarily laundry related. This makes the chore all the more unpleasant to do. The fact is that your clothes are not disposable and you have to face the reality that you need to do your laundry. 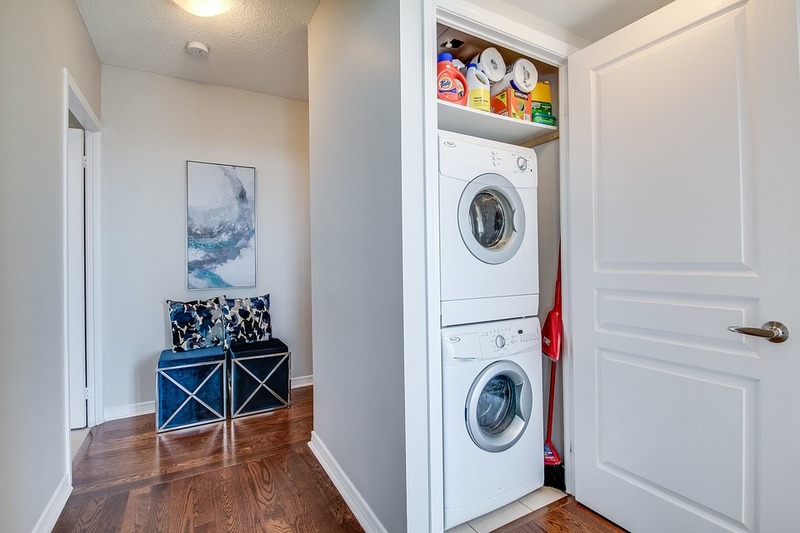 You might as well make it a more pleasant experience by organizing and fixing your laundry room in such a way that you actually feel comfortable in it. 1. Have a space for everything and put everything in its place. It’s a pain to have to look for everything you need just when you need them. Invest in accessible cabinetry and shelvings where you can store your laundry items. Among those that you have to make space for are your laundry supplies (detergent, fabric softener, bleach, and filters), your dirty clothes, your clean clothes, your baskets, and your hanging supplies (hangers, clothes pins, and drying racks). If your laundry room doubles for another purpose, you can designate the spaces accordingly. 2. Think about ease of movement. Consider how easy it is for you to get to the things you need and to do the things you have to do. If you have a front loading washer and dryer, you do not want to put anything right across from your washing machine that would make it difficult for you to open its covers or for you to bend over to take your clothes out of the washer. You also do not want to go clear across the room for a sheet of fabric softener. The shelvings on top of the washer will be the best place to put your laundry supplies. Good lighting can definitely put you in a better mood while doing your laundry. Go for bright lighting. Paint your walls in a cool color too. Avoid drab shades or wall paper designs. You want to work with lighting and color that makes you feel perky and upbeat. Try adding music too and you will find yourself enjoying laundry perhaps just as much as you enjoy organizing your crafting stuff or tending to your flower garden.